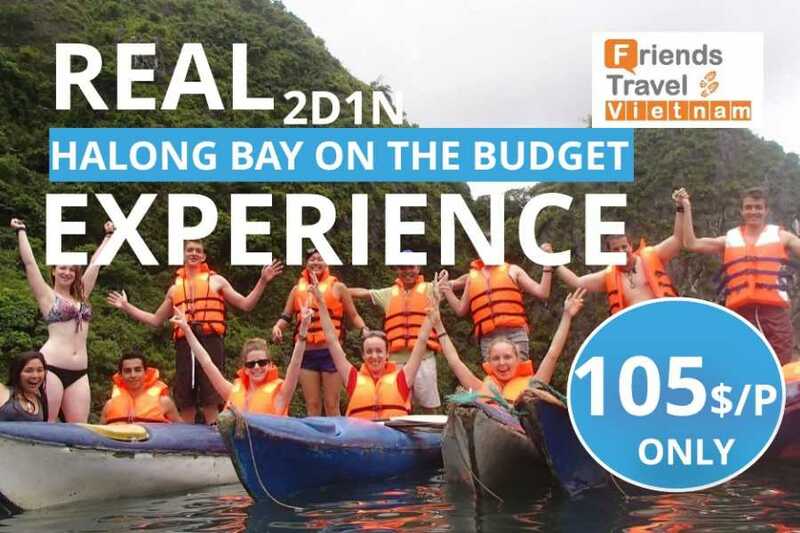 Friends Travel Vietnam - organized this unique cruises experience nobody else will do of cruising around all Halong Bay & Lan Ha Bay on a unique non-touristic route. 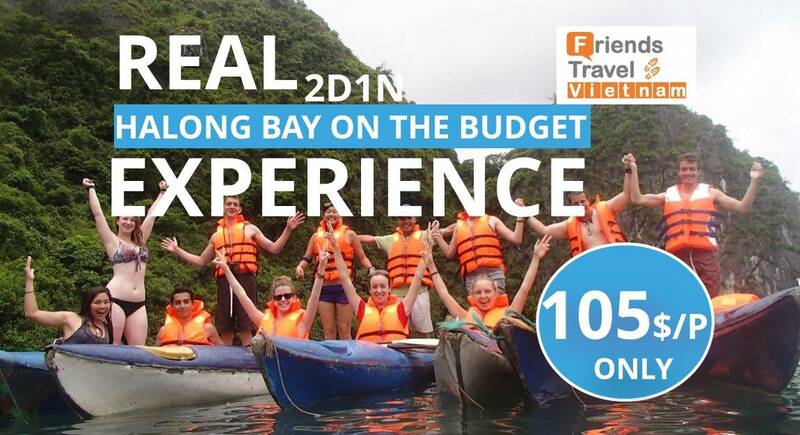 Book now your cruise experience where we only travel with only small-groups (max 20). 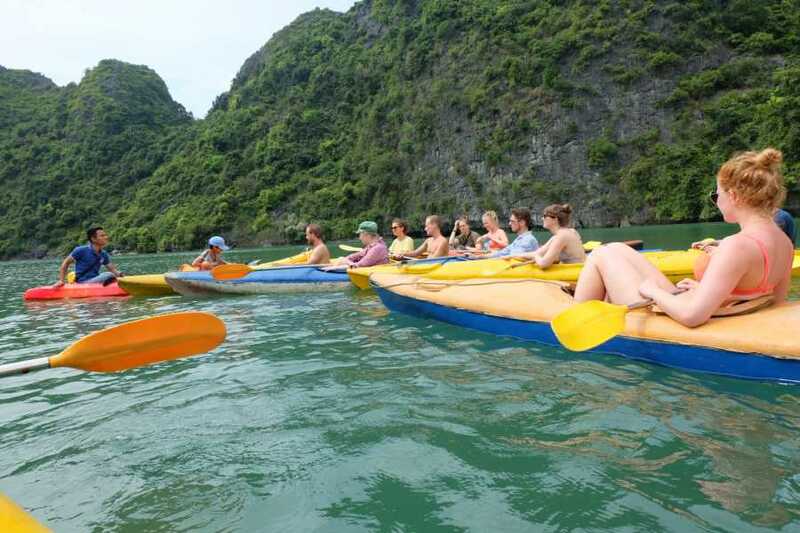 We will pick you up from Hanoi for drive to Hai Phong, all the way to Cat Ba Island, for 2 days & 1 night explore the fascinating and breathtaking peaceful view on this unique location, start cruising through the karst islands on a non-touristic route and enjoy our special feast of Vietnamese Cuisine. 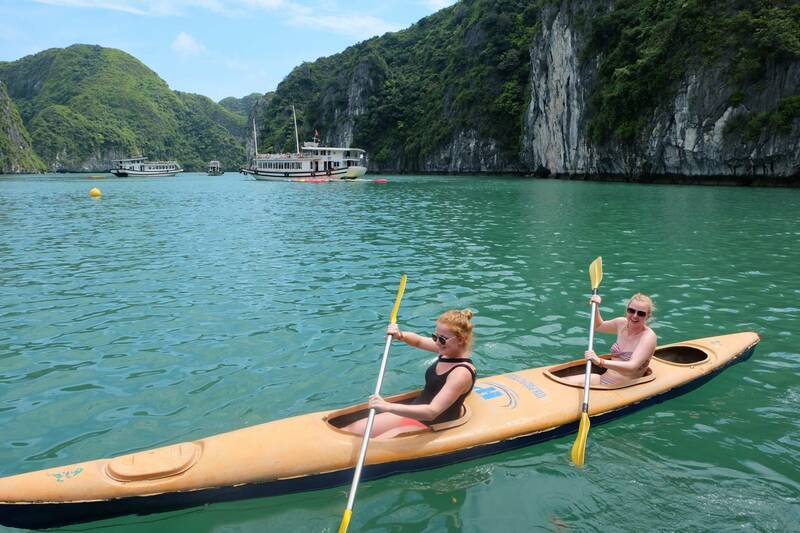 While the cruise slowly slide on the romantic waves on Lan Ha Bay where we stay overnight. 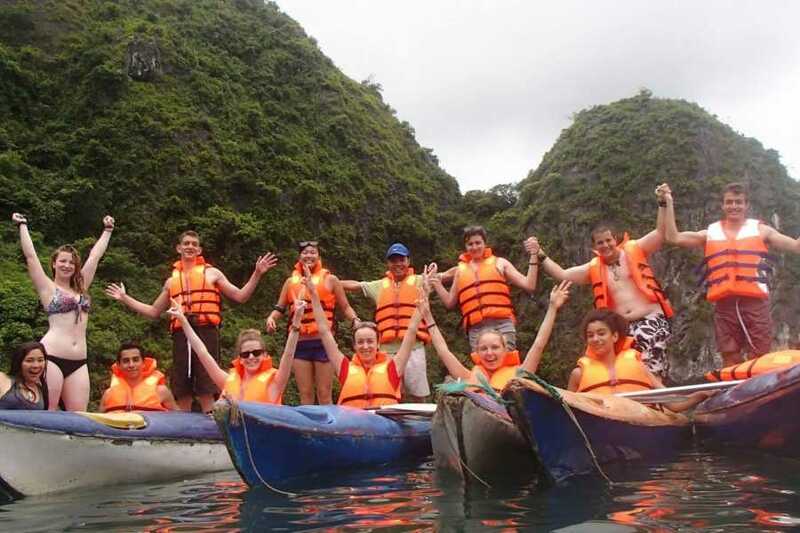 Friends Travel Vietnam’s - premium selected budget cruise trips combine the meaningful small-group travel experiences we’ve made famous with a little more polish. 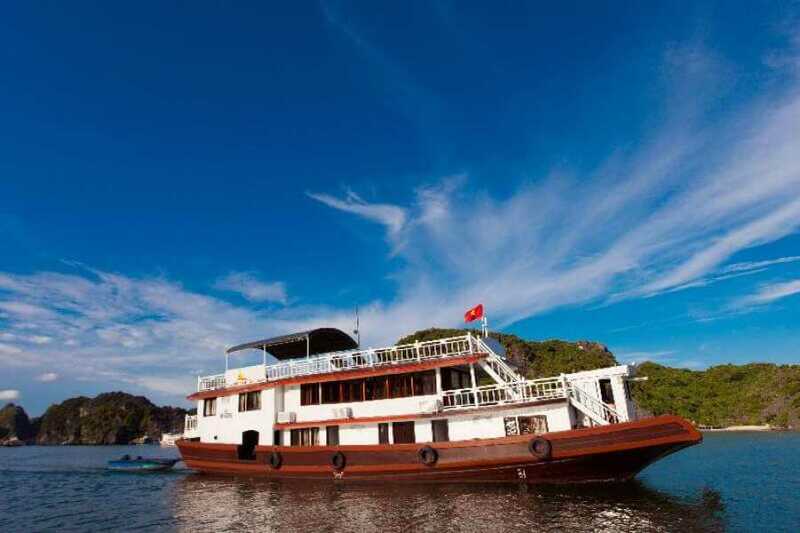 Start cruising and enjoy the romantic waves of Halong Bay with our budget cruise. 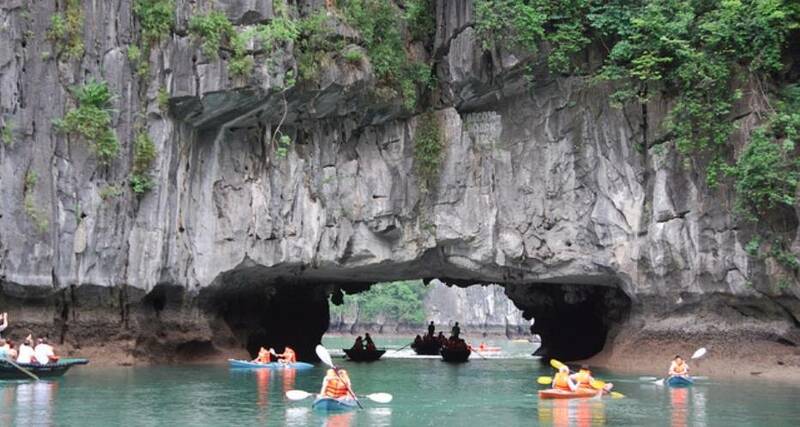 Option to depart directly after your trip from Cat Ba directly to Ninh Binh (Tam Coc) by bus and ferry.Arriving time time Tam Coc +/- 5pm now only +18$USD/p. 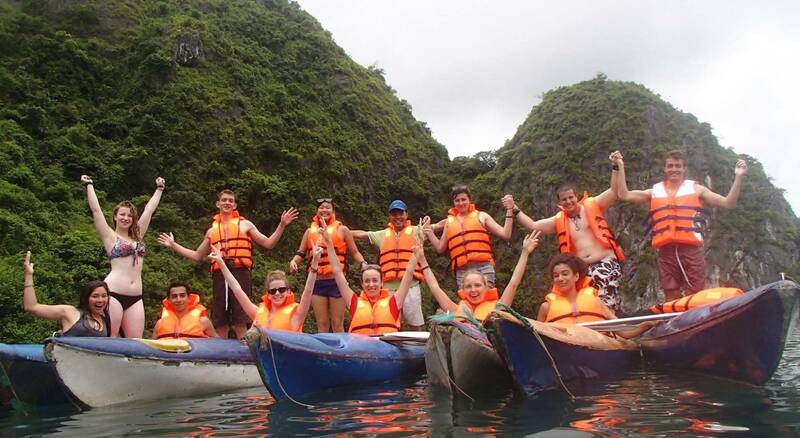 - Embark at Cai Beo habor, Cat Ba Island. Transferred by tender to the Emerald Cruise. 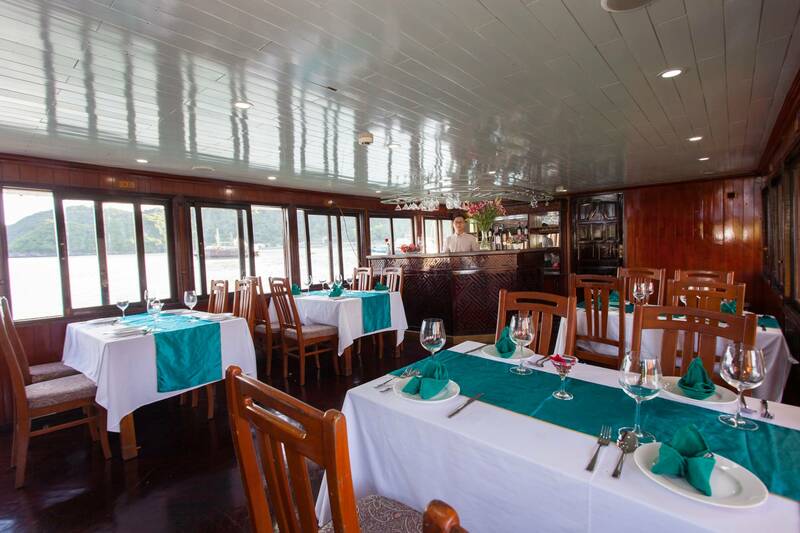 - Savor lunch on board while cruise heads to center of Lan Ha Bay. 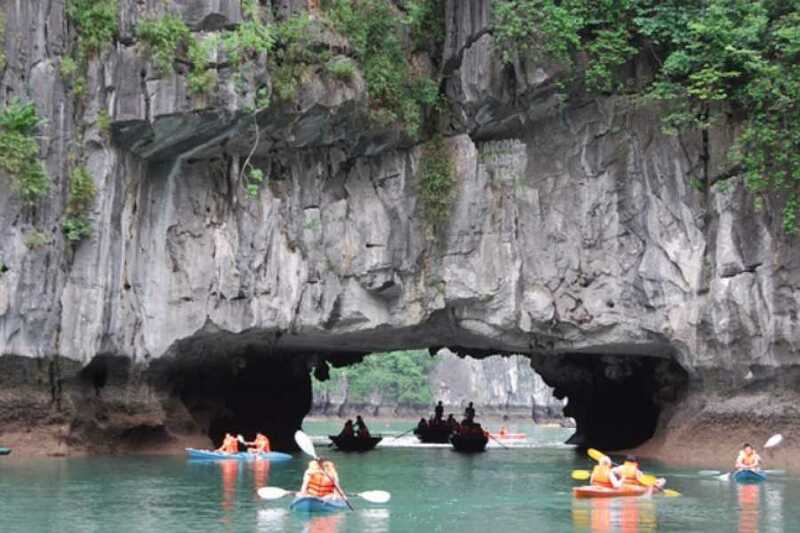 - Explore Dark & Bright Cave by kayak and go for swimming & snokeling in nearby area. Come back to cruise later to enjoy sun set party and cooking class. 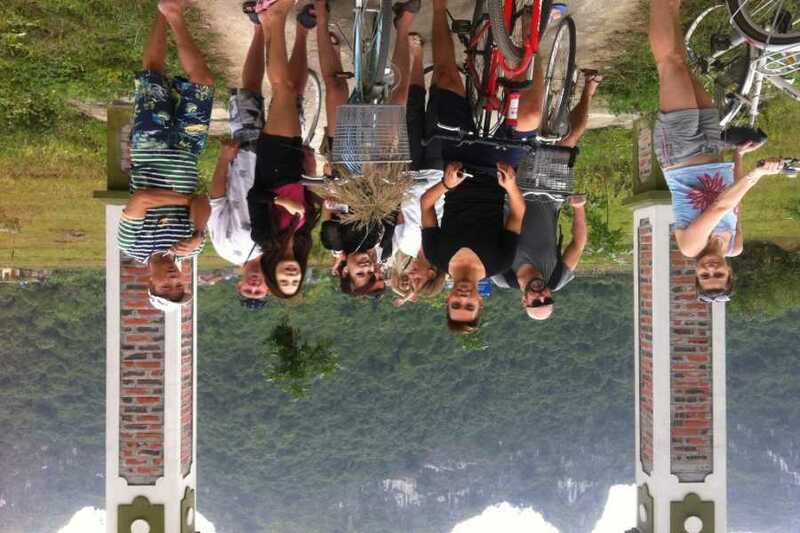 - Ride the bicycle through the forest to Viet Hai Village (5km). Take a short trek through the forest. Go back to habor by bicycle. - Check out your cabin. 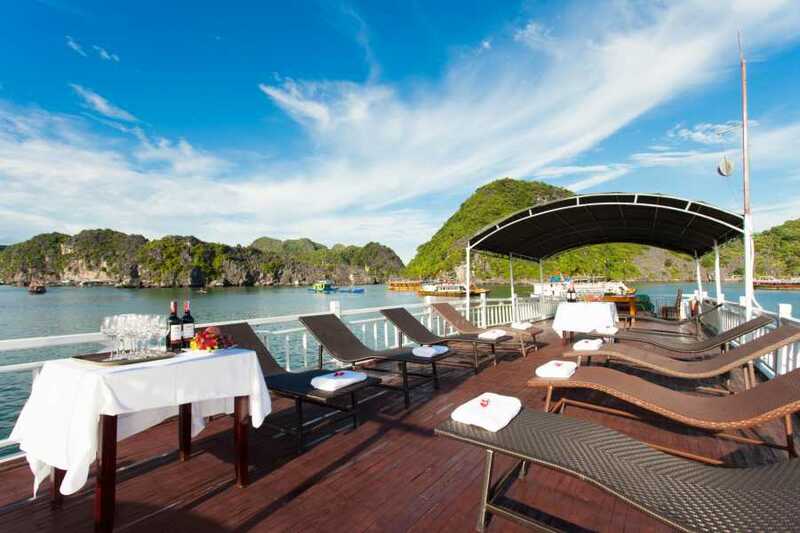 Enjoy the view while Emerald cruise heads back to Cat Ba town. -Brunch will be served on board. - Disembark Ben Beo Habor. 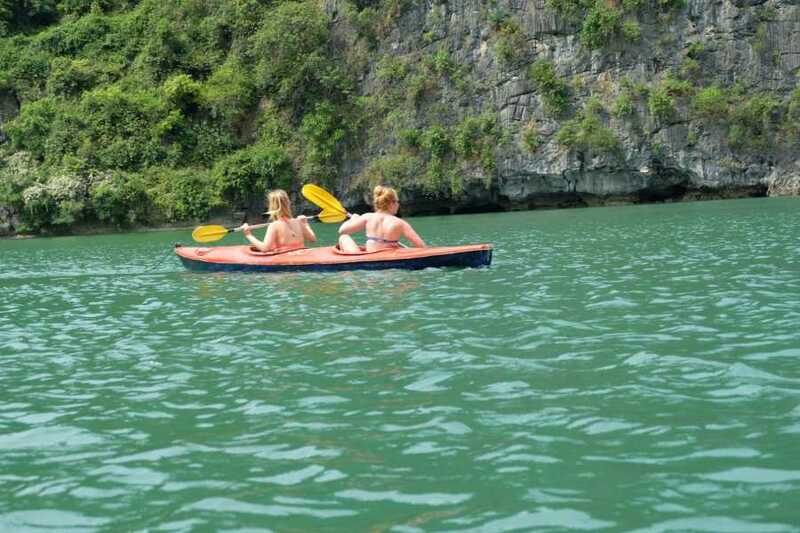 Say good bye to Lan Ha Bay, we start to go back to Hanoi. 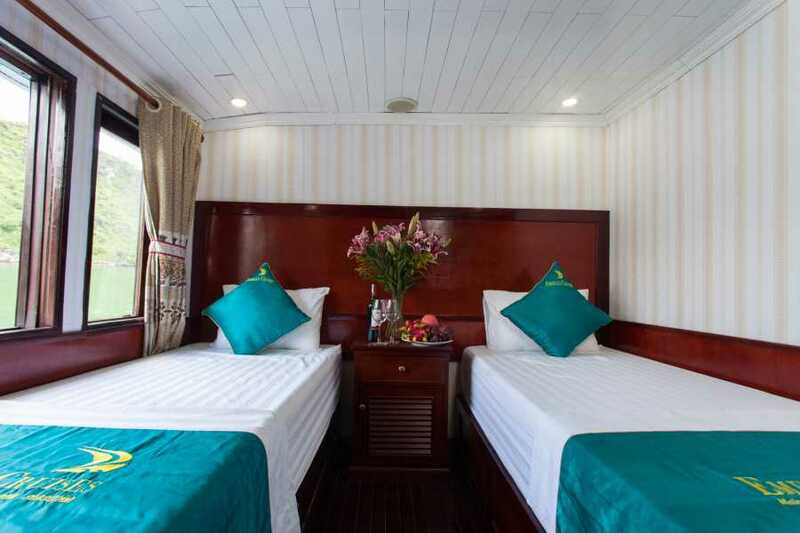 - The tour is daily departure from Friends Travel Vietnam at 62 Hang Buom street in Hanoi. - It’s Not possible to pay by credit card on the cruise or Island, please pay by cash. 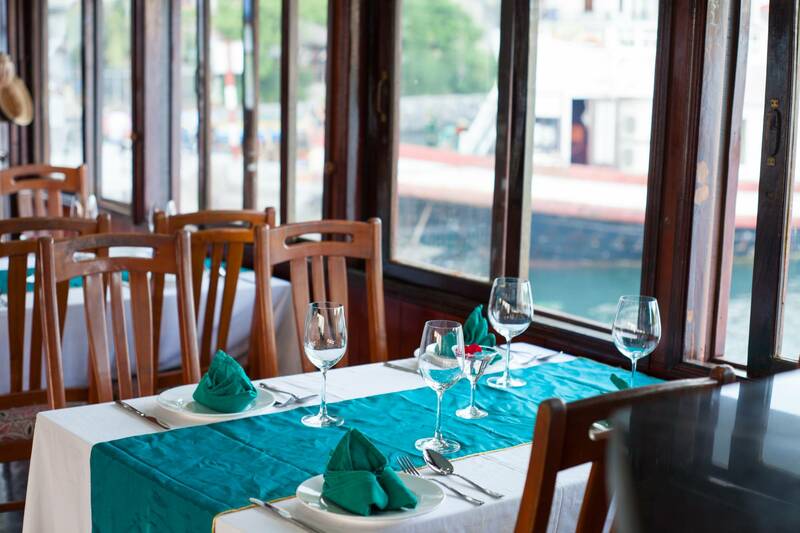 - You are not allowed to bring you own BYO drinks, there is drink service on the boat and the island. 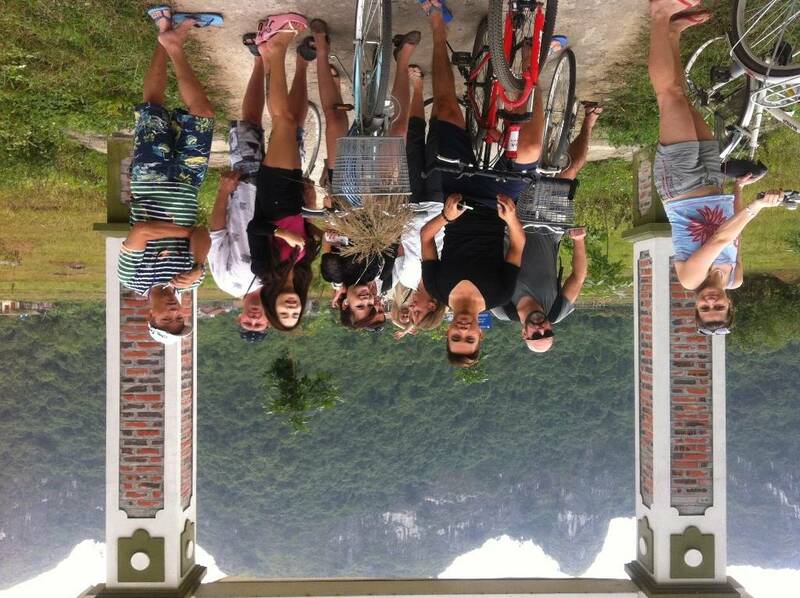 - Any BYO drinks can be confiscated and returned upon return to Hanoi. 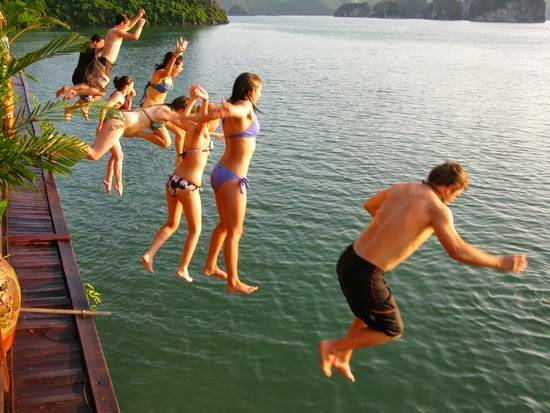 - Timing and Itinerary are subject to change with or without prior noticed. - There isn’t a doctor or pharmacy on board. We departure every day at 7:30AM, you will be required to be at our office 7:15 AM for briefing, not being on time will be seen as not showing up, in that case there will be no refund. We are strict about our departure times. - If you are not present at that time, we regard it as non-attendance. - You will be not able to join the tour, and will NOT be refunded!! 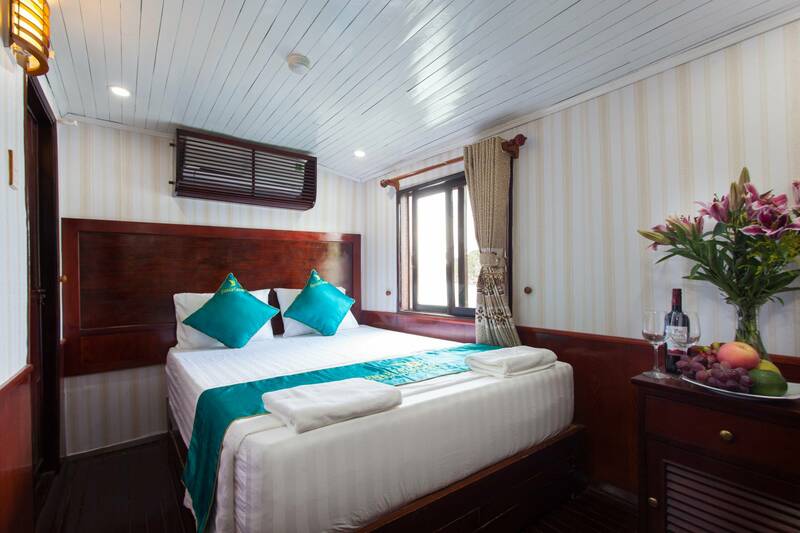 The cruise trip will return to the harbor by 11 AM or 12 PM on the last day of the trip and you can expect to reach your hotel in Hanoi or our office between 4:30 and 5PM.